We stumbled into a new series for our family read a-louds - new to us, and fairly new as a series in general. In fact, the last two books pictured above haven't been released yet. 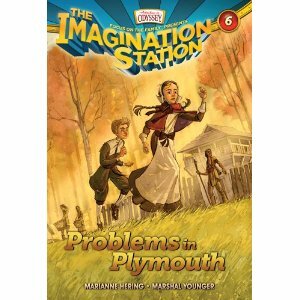 Problems in Plymouth is due out later this month, and the release date for Secret of the Prince's Tomb hasn't been announced, yet. Luckily, our library has been acquiring them almost as soon as they come out, or I'd be tempted to buy even more books, after announcing, only last week, that I wasn't going to do that. 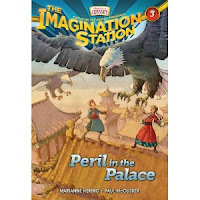 Presented by the folks at Focus on the Family, Marianne Hering and Paul McCusker's Imagination Station series, is very similar, in both style, substance, and reading level to Mary Pope Osborne's Magic Tree House series, but with a Christian slant. 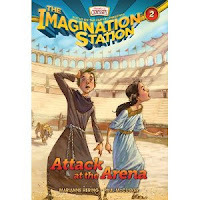 Not only do cousins, Patrick and Beth, travel through time, solving puzzles, and meeting historical figures, they discover how the rise and spread of Christianity changed the world, and its leaders, both those who embraced it, and those who rejected it. From book to book they travel to different times, and places, exploring secular, political, church and Biblical history. Instead of traveling in a tree house, their mode of transport is the Imagination Station, a time machine built by Mr. Whittaker, an inventor familiar to us from The Adventures in Odyssey. 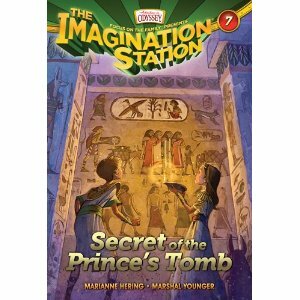 Like The Magic Tree House series, these books give tiny nibbles of history, but open the door to further study. 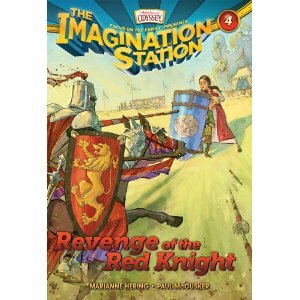 They do not have a companion fact series, but the first two books do have additional information, and study resources linked to them at TheImaginationStation.com. The books are well written, but easy to read. Amazon suggests a 9-12 age range, while the publishers recommend them for ages 7 and up. All of my children, ages 5-14, are enjoying the series, and even I have picked up a few new, historical facts. The books do not seem to differentiate between Catholic and Evangelical branches of Christianity, which has been a tiny bit confusing to my children - but has also led to good discussion, and another learning opportunity. 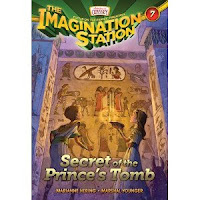 To find out what other families have been reading this week, click on over to the What My Child is Reading link-up, hosted by Mouse Grows Mouse Learns. Thanks for the recommendations! We'll look for these! These look interesting. Thanks for pointing them out. I've been wondering about these, ever since watching the videos, which I did not feel were in the same flavor as the show I've been leary of their spin-offs. I'll have to see if our library has them. I will have to check these out. Thank you for sharing them with us. We would probably enjoy these! Thank You for posting about them. Sounds intriguing - I've never heard of this series before. Thanks for joining WMCIR! OOO, thanks Leah! Always lookin for great series. Also, would like to share a series we've been reading. They are the "King of the Trees" books by Willima D. Burt. There are 5 books in all. 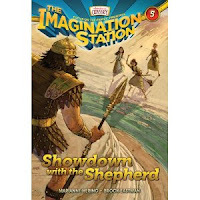 They are sort of like a cross between Chronicles of Narnia and Harry Potter books but with a definate christian emphasis. The boys (10 and 11 year old) cannot put them down. Even requesting the additional books for birthday presents. You can look them up at CBD.com. Marcee - Great to know! We'll check them out. Just found out that our libaray doesn't have them. 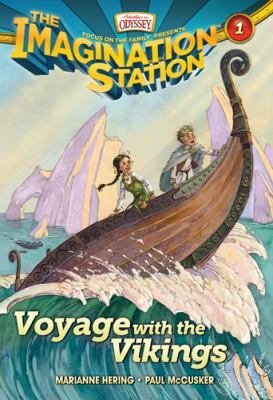 :( But they do have an Adventures in Odyssey series in the system, its just the older group of series. 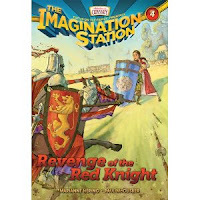 I'm going to request the Imagination series next time I go in.